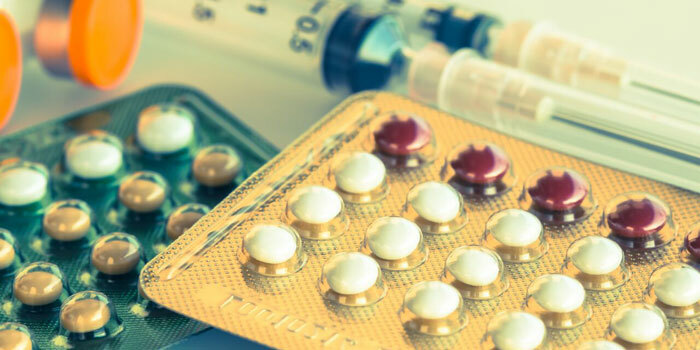 On average, a woman will use a contraceptive method for almost 20 months, with women using the IUD having the longest duration (over three years) and those using injectables the shortest (less than one year)…. For all methods, over one-third (38%) of women discontinue by the 12th month, over half (55%) by the 24th month, and almost two-thirds (64%) by the 36th month; when IUD users are excluded, these median rates are much higher at each time period (i.e., 40%–50% at 12 months). Indeed, when complications — some very serious — arise, as they frequently have with IUDs and implants (which tend to migrate in the body), women can’t just stop and switch to something else on their own. These contraception methods put women’s health at risk. … [T]he majority who discontinue their birth control are reacting to “method related concerns” (iii) like prolonged bleeding, pain, headaches, mood problems, severe vaginal dryness, dizziness, and stomachaches (6). (They don’t even mention cancer, blood clots, strokes, or other known risks). David Paton, author of four major studies in this area, has found “no evidence” that “the provision of family planning reduces either underage conception or abortion rates.”12 …. Perhaps educating women about their own fertility signs through fertility awareness methods/Natural Family Planning — which, when used properly, can be as effective as an artificial, hormonal method of birth control — could go a long way toward helping women to work with their own biology rather than against it.